The latest wave of Predator figures by NECA is in stores now! The new assortment is their second wave of AvP Predators, all using the newly developed body style. In Series 14, we saw the release of the Chopper Predator, Unmasked Scar Predator and the Celtic Predator. 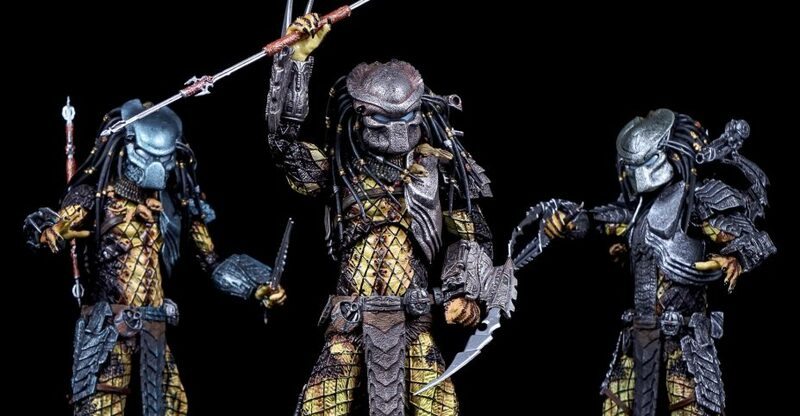 With Predator Series 15, fans can now get their hands on a Masked Scar Predator, the Ancient Warrior Predator and the Temple guard Predator. Each of these figures is packed with weapons and accessories. Even better, you can swap hands, shoulder cannons and weapons between all three. Toyark sponsor Big Bad Toy Store sent along the figures, and we have a full gallery and review. NECA has posted up their own gallery for the highly anticipated Predator Series 15 figures. 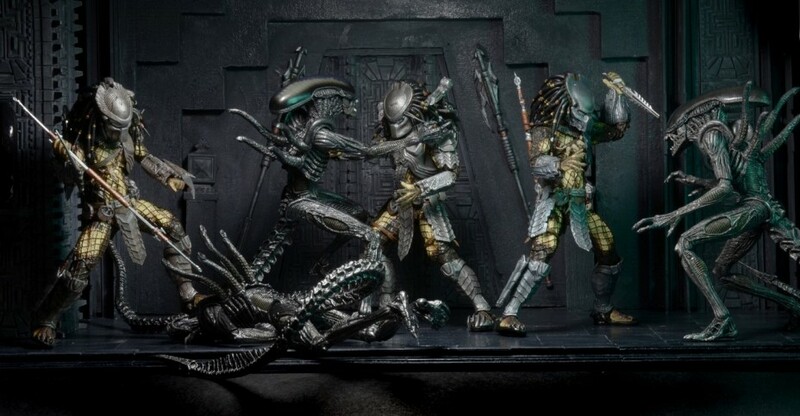 In this assortment, they have three more Alien vs Predator figures for fans. NECA’s longest running action figure line continues! Series 15 features even more action figure debuts from the 2004 movie Alien vs. Predator. The assortment includes our first-ever Ancient Predators, Warrior and Temple Guard, as well as a new masked version of the fan-favorite Scar Predator. We’ve paid close attention to detail to make these as accurate to the movie as possible. Each has over 30 points of articulation and comes with character-specific gauntlets, armor, weapons, trophies and other accessories. As an added bonus, the hands, gauntlet blades and cannons are removable and compatible with all AvP Predators. Figures stand 8.25” tall. Blister card packaging. Look for this wave to begin hitting stores around the end of the month or early next month. We will have a full gallery and review once they hit retail. Read on to see the new photos. 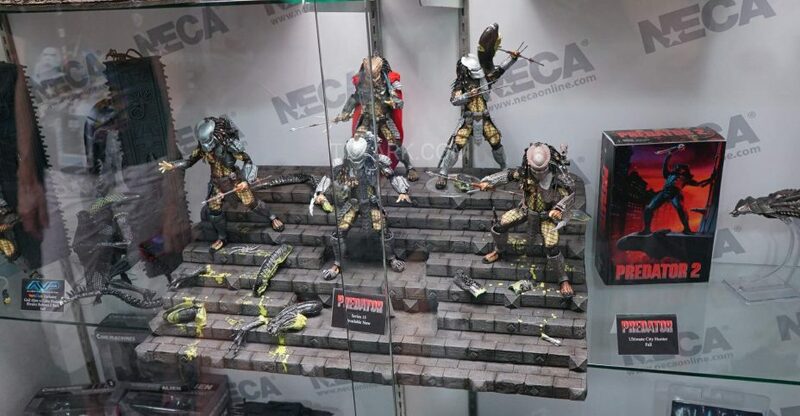 NECA’s Predator Series 15 is scheduled for release in just a few weeks. 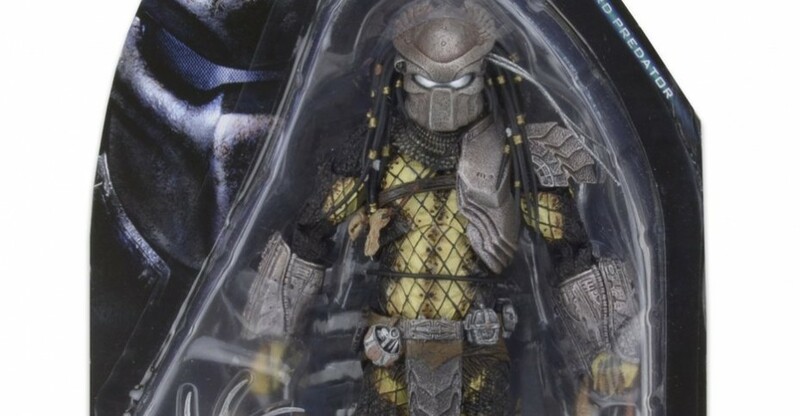 Ahead of them hitting stores, NECA has released a new look at the Temple Guard Predator in-package. Series 15 also includes a Masked Scar Predator and the Warrior Predator. See the new photo by clicking the image above. The figures are scheduled to ship in April 2016. There are some new photos of the figures. You can check them out by reading on. Predator Series 14 seems to have been pushed back a bit. The wave should begin to hit shelves next month. Last night, NECA teased the next wave of Predator figures with the first reveal from Predator Series 15. 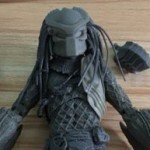 The preview image shows off the prototype for the Temple Guard Predator. You may remember than they teased this figure way back in March. The figure, based on the Temple Guardian who was briefly shown in Alien vs Predator, will include numerous accessories. No release date or other details were revealed at this time. Read on to see the preview.